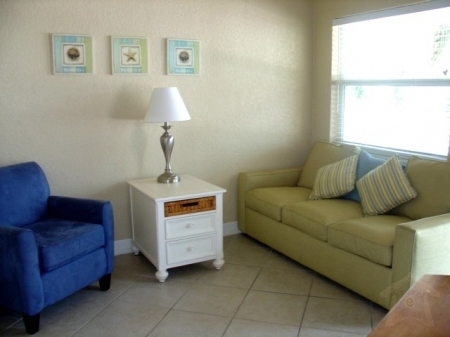 Blue Wave is a unique spacious comfortable hotel located minutes from all that Clearwater has to offer. This Florida hot spot is the perfect location for your year round family vacation. Welcome to the Blue Wave Motel Suites of Clearwater Beach, Florida offering beach and luxury suite accommodations with all the comforts of home!!! The Master Bedroom comes complete with an en suite, provided with soaps, shampoos and hair-dryer. The bathroom is convenient for guests sleeping in the front room. The bedroom is a great room for the kids to sleep! The kitchen includes tile countertops and a full complement of high-quality cook-ware for the fussiest chef. 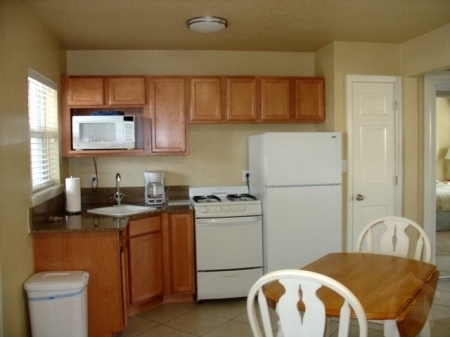 There are complete facilities with stove, oven, microwave, and dishwasher. And the laundry facilities in the unit will take care all your cleaning and drying needs! This crystal-clear lake offers privacy, fantastic water sport rentals nearby, great fishing and fantastic clear skies and warm weather into throughout the summer. 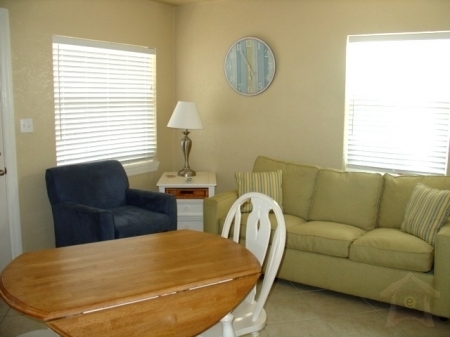 Blue Wave vacation rental rates $89 per night. One look inside the front door will convince you of our claim that this unit is more than you expected! Treat yourself while you stay Florida, and have a great time! * Rates valid for advance reservations only. * These rates exclude Holidays and Special Events. * Check-out 11:00 AM. Late check-out may be available but not guaranteed. Please check with our office for late check-out availability. An additional charge could be added for non-approved late check-outs. * NO SMOKING POLICY: All rooms/units are NON-SMOKING. There will be a $100 cleaning fee taken from the damage deposit if this rule is broken. Smoking is permitted outside only. * Rates are for 1 or 2 adults & 2 children under 8 years of age. * Each additional person add $10. Children 8 yrs. & under, no charge. * Maximum room occupancy is 4. Units are rented under the guidelines that there will not be more people than allowed as stated on the website. If there are more people than allowed, this could result in immediate eviction and/or an extra cleaning/damage fee of up to $100. * We are sorry. NO PETS ALLOWED. * Damage Deposits: We can place a hold on your credit card for a damage deposit. The normal amount to be held is $100 unless otherwise specified. Most rooms/units have cleaning fees built in, however, if the room/unit is left in complete disarray, an additional cleaning fee can be charged to the damage deposit. * A 25% Non-refundable deposit is required on all rentals at the time of booking. * Cancellation Policy: In the event it is necessary to cancel a reservation, your reservation deposit will be refunded as a credit towards a re-booking within the following 12 month period. * We reserve the right to substitute your reservation with another room/unit in the event of circumstances beyond our control. 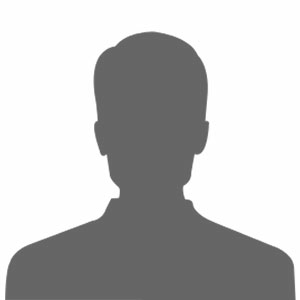 We have described the rental in detail to the best of our ability, but we cannot make the decision for you, and will not be responsible if you are not happy with your choice upon arrival. The rent will not be refunded and cannot be transferred to another location. * No Refunds given for early departure and/or eviction after check-in. * A 2 night minimum is required on all Holidays & long week-ends. Please call for rates. * We require one member staying in the room to be over 21 years of age. * One complimentary parking space provided per room. 2 Spaces, if accommodations allow. * AAA and AARP discounts available. * Payments Accepted: Cash, American Express, Visa, Mastercard & Discover. Suites from: $89 nightly & $553 weekly. 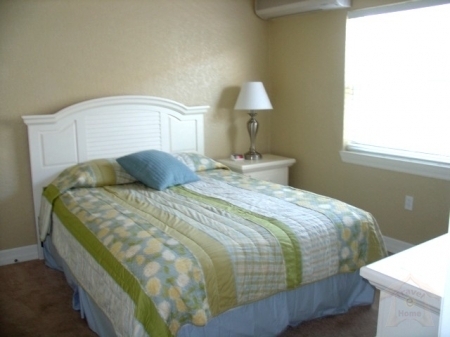 Please email info@bluewavemotel.com or call 727-442-5100 for other rates and availabilty.